I was born in a village called Newbottle (strange name that, as I am often found asking for one), in 1952. I grew up in post-WII North East England during the 50's and can even remember rationing still being in place. I attended Houghton-le-Spring Grammar School during the 60's and had aspirations to becoming an astronaut (!) or some sort of technical person. I of course stayed up all night and watched Neil and Buzz walking on the surface of the moon. It was at that time I became interested in electronics and actually attempted to launch a home-built rocket from my parents' back yard by remote control! I had constructed a panel in the manner of the ones at Canaveral (Kennedy, then), complete with a large display panel showing countdown status, commit and ignition times. A timer circuit from the 60's British mag Practical Electronics was at the heart of the matter and as it counted down from 3 mins, the indicators came onto the display in my upstairs bedroom and culminated in it sending a couple of amps from my Triang train transformer down to the rocket in the garden which contained some thin fuse wire I had pinched from school!! This ignited the rocket (made from an empty metal tube which used to house solder, filled with a mixture of Sodium Chlorate and sugar - the former being sold in garden shops as weed killer in those days..... wonder if it still is? Lo and behold, the thing didn't work but looked great blasting the hell out of my father's cabbages. However I had followed all the countdown etiquette, which included weather... I actually 'waved off' two Sunday morning launches until conditions seemed right! Anyway, I ended up at teacher's college and did a year of mathematics teaching at a colliery village in England, just as the Apollo programme was closing and the Skylab one starting. I had followed the Apollo program from start to finish, and recall walking up a tiny little street in a fishing village on the Italian Riviera just after the 13 incident, hoping that the programme would not be halted. It was with great satisfaction that, back at college, I watched the Apollo 14 and 15 missions being the success that they were in 1971. In 1974 I secured a job with the New South Wales Department of School Education, Australia, and left the UK and my parents (I was their only son) on my twenty-second birthday. I told them I would go for two years, check it out, and if I did not like it, return to England. 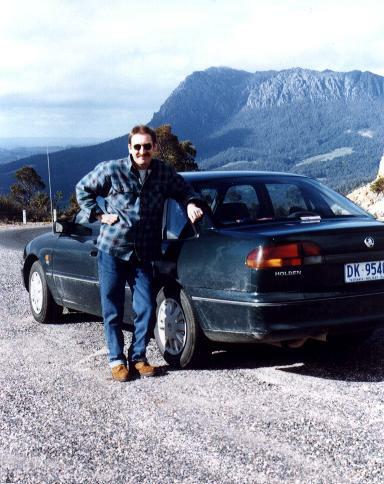 It is now the Year 2000 and I am still here, with a Geophysics degree and three daughters later, so I guess I like it here at the Antipodes. Obviously there are a lot of things that have happened, both in my life and in the global space programmes, but I guess we all could write books. However, the resource that Eric Jones has established here is something timeless and priceless to those of us looking to the future and journeying to the planets and beyond. I wish I'd had access to this material twenty years ago! To all of you Apollo astronauts, thank you for the contribution you made to the human race. You were brave and committed people, and I wish I could have been part of it all. George Green (48), Physics Teacher, Wollongong, NSW, Australia.